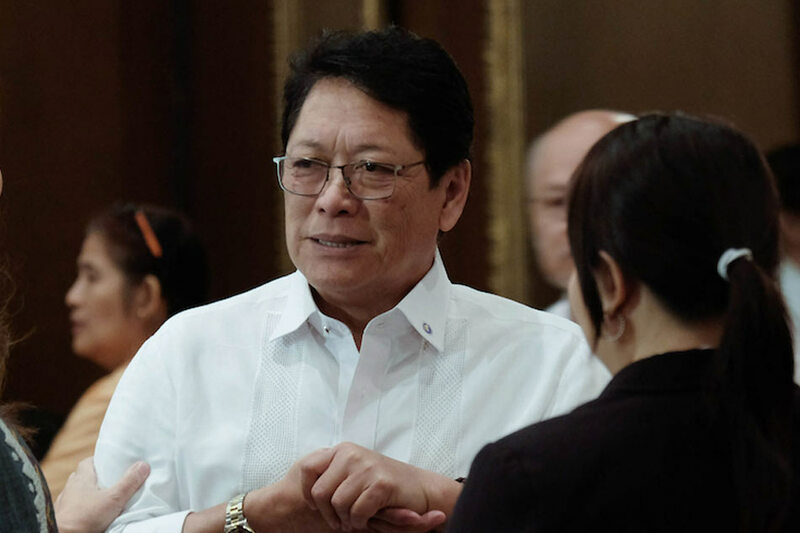 MANILA (UPDATE) - Labor Secretary Silvestre Bello III is eyeing to succeed Ombudsman Conchita Carpio Morales once she steps down in July. Bello, a former justice secretary and solicitor general during the term of former President Fidel Ramos, has applied for the Ombudsman post, which will be vacated this year. He submitted his application and documentary requirements to the Judicial and Bar Council (JBC) last Friday, May 11. He is expected to complete all requirements on Tuesday. The JBC last March opened applications for the Ombudsman post in light of the scheduled end of Morales' 7-year term on July 26. It screens applicants for positions in the Office of the Ombudsman and recommends appointees to the President. Morales was appointed Ombudsman by former President Benigno "Noynoy" Aquino III in 2011.
negotiating with communist rebels to forge lasting peace under the administration of President Rodrigo Duterte. Another Duterte ally, veteran lawyer Edna Batacan, has also applied for the Ombudsman post. Batacan, who has litigated before the Ombudsman and the Sandiganbayan, lawyered for then Davao City Mayor Duterte in a graft case at the anti-graft court. She also served as legal counsel to former first gentleman Jose Miguel Arroyo in a graft case over the botched ZTE national broadband network deal. Ombudsman Special Prosecutor and former Sandiganbayan Presiding Justice Edilberto Sandoval is another candidate to the post. Sandoval started his career in the judiciary in 1983 when he was appointed Judge of the Oriental Mindoro Regional Trial Court Branch 9 by President Ferdinand Marcos. He was later appointed by President Corazon Aquino as Judge of the Manila Regional Trial Court Branch 9. Ramos appointed him Associate Justice of the Sandiganbayan, while Aquino appointed him Presiding Justice of the anti-graft court in 2010. Supreme Court Associate Justice Teresita De Castro was, meanwhile, nominated for the Ombudsman post by former colleague, retired Supreme Court Associate Justice Arturo Brion, but has yet to accept the nomination. De Castro is now in her 45th year in government service. She first joined government on February 19, 1973 as a law clerk in the Office of the Clerk of Court of the Supreme Court. She served under Chief Justice Fred Ruiz Castro from 1975 up to 1978 as legal-judicial assistant and technical staff member. She moved to the Department of Justice in 1978 as State Counsel, and served as an international and local peace negotiator from 1988 up to 1997 during the Corazon Aquino and Ramos administrations. She later became Department of Justice assistant chief state counsel in 1997, prior to her appointment as Sandiganbayan Associate Justice on September 23, 1997. On December 15, 2004, De Castro was appointed Presiding Justice of the Sandiganbayan. She also served as president of the 103-country International Association of Women Judges (IAWJ) from 2014 to 2016, its president-elect from 2012 to 2014, and vice-president from 2010 to 2012. She is the current president of the Philippine Women Judges Association (PWJA) and is the Working Chairperson of the high court's First Division. Applications for the Ombudsman post closed Tuesday afternoon.